An application used to modify the textures and models for the game Final Fantasy XIV. Adobe Photoshop CS6 or newer. 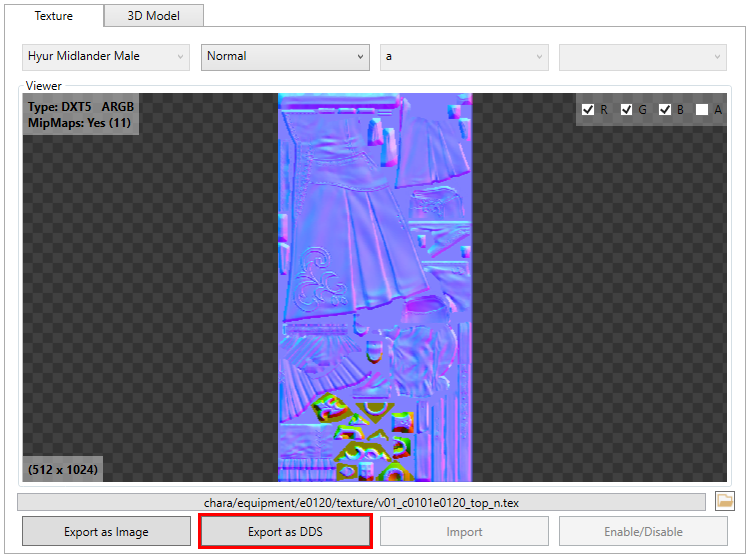 There are two export buttons to export as an image and as a DDS, the format in which the texture must be modified is DDS, so we select that button to export the texture. Once the texture has been exported, you can click on the folder icon to open the folder in which it was saved. 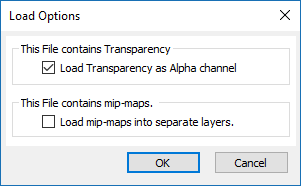 Upon opening a dds file in Photoshop you will be presented with a Load Options window, you will want to select Load Transparency as Alpha channel and then select OK.
Once you’re satisfied with the modifications to the texture, it is time to save. and click on Save, when asked if you would like to replace, select Yes. This is the next window to open before it finally saves, and where we select the compression level of the texture we are wanting to save. In order for TexTools to import the modified texture correctly, it must be saved in the same format as the original texture. 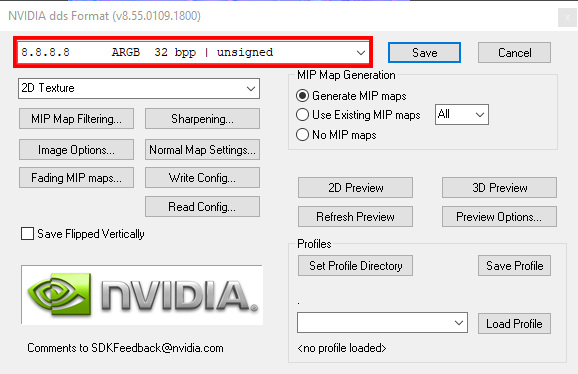 You can find the format, and whether or not MipMaps must be generated, in the upper left corner of the texture viewer. Once you have matched the format in Photoshop with the format in TexTools, you can save the texture. Once the texture has been saved, you can now click on the Import button in TexTools and the texture will be imported with the changes that were made.